Then a friend posted this in his memorial guest book: "Mikey, it is said an Oak tree symbolizes courage and power. I will plant one in my yard this weekend to honor you." So some friends are planting an oak tree. I thought there might be something with this tree idea. I went to Arbor Day Foundation and started digging around. It turns out they have a way to plant trees in memorium. (I'll get to that soon.) Even better they are planting in a forest that Mikey always found very beautiful. Chippewa National Forest. There is no way to describe the beauty and massiveness of this national forest. Google it and look for images. It is also located very near to where we are in Minnesota. Its shared boundary with the Leech Lake Indian Reservation offers visitors the chance to experience Anishinabe culture and the rich history of the area including prehistoric times, the early logging era and Civilian Conservation Corps days. The forest’s large red and white pine trees make Chippewa one of the largest American Bald Eagle nesting sites in the continental United States. In July 2012, a devastating storm with straight-line winds of 80 to 85 miles per hour tore through the forest, blowing down an estimated 95,000 of the 666,542-acre forest. About 12,000 of the acres affected were the heart of the forest’s pine tree country – stands of mature conifer trees were snapped off and uprooted. Restoration of these majestic pine trees is critical to the wildlife that calls Chippewa National Forest home, including the American Bald Eagles that depend on the pine trees for their nesting habitat. The Ojibwa community at Leech Lake Indian Reservation has a special generations-old bond to these tree stands as well. The generous support of the Arbor Day Foundation’s members and sponsors will help restore the forest from the damage caused by the devastating windstorm by planting hundreds of thousands of trees including red pine, white pine, white spruce and Jack pine in the Chippewa National Forest as part of the forest’s goal of 1 million trees planted. Want to be a part of helping restore the forest and have a living memorial for Mikey too? 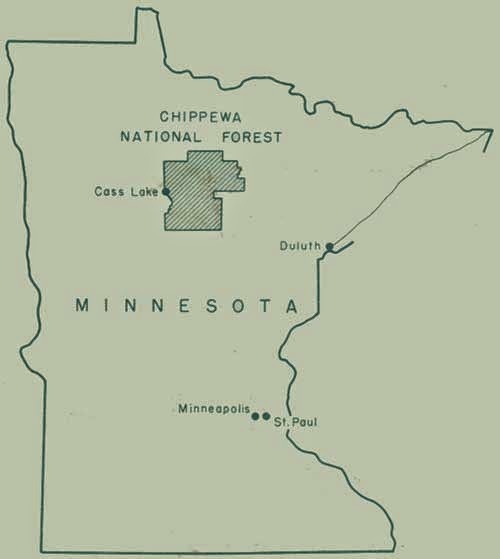 The link will have the Chippewa National Forest pre-selected. All you have to do is complete it with the information you want. Trees For Mikey. I go on his page about once a day to approve posts to his wall. Recently I was going through some of his unread messages to make sure none needed a response. I found this message. He never once asked for anything for himself. Okay, maybe marbles but beyond that, the big picture, he always wanted others to have instead. So instead of, in addition to or however you want to honor his memory there are options. Basically, give to someone in need. Whether it be clothing or food. Help someone that is worse off than you. Yes, you might be in a bad spot but there is always someone in greater need. Always. He also strongly believed in Matthew 6:2-4: So when you give to the poor, do not sound a trumpet before you, as the hypocrites do in the synagogues and in the streets, so that they may be honored by men. Truly I say to you, they have their reward in full. But when you give to the poor, do not let your left hand know what your right hand is doing, so that your giving will be in secret; and your Father who sees what is done in secret will reward you. I would love to know in some form what people are doing. I think that can be done without bragging or telling what was done. Perhaps something along the lines of simply commenting, "It's been my honor."